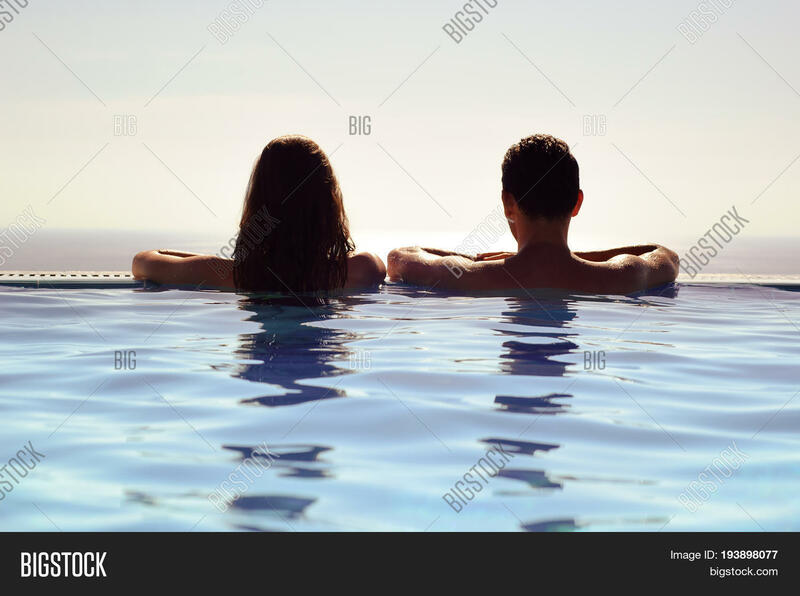 Young Couple Relaxing Together in an Infinity Swimming Pool and Enjoying the View of Horizon and Sea. 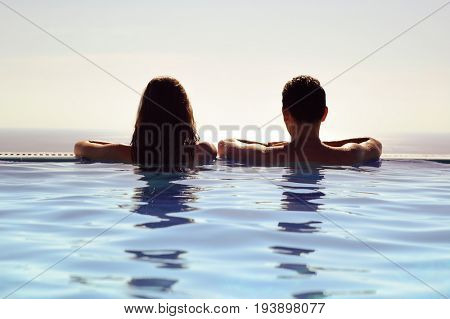 Rear View of Honeymoon Couple at Luxury Resort. Travel and Summer Vacation.